A lust for power does strange things to politicians. History has illustrated the point so depressingly frequently that only the most unglued would consider it a topic meriting further debate. GE 2015, however, is revealing in stark form the bizarre impact that the fear of losing, or not attaining, power has on our political class. 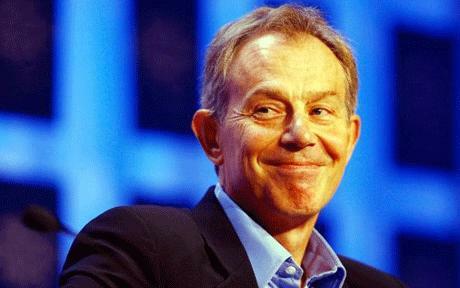 Take Labour, for example – not that the polls are suggesting many are going to – someone, probably several someones, decided it would be a good wheeze to wheel out Tony Blair (henceforth to be referred to by an abbreviation of his near-anagram, Tory Plan B) to give the Jellyfish’s campaign a boost. Plan B, one of the nation’s leading war criminals, an impressive achievement given the stiff competition historically provided by the Empire on which the sun never set, is an unusual choice of popularity-booster. For starters, the Jellyfish’s desperate and forlorn bid to win the keys to Number. 10 rest mainly on him convincing us that the NHS is Labour’s uncontested home-turf. How novel, then, to draft in the man who did the unthinkable and first set in motion its demise at the hands of the market. Still, say what you like about Plan B, while his messianic saviour-of-the-world shtick might well owe everything to narcissism and corruption by power, he at least avoids cutting a pitiful figure. Not so the Jellyfish, alas. How broken must his judgement be, how great his desperation, how cheaply he must value dignity that he’d Tweet about the hugely-despised Plan B thus: “When a serious figure like Tony Blair warns UK national interest is threatened by a Tory 2nd term, people from all parties should take note.” One is almost moved to hug the poor wee fella. Or, as my good friend and comrade, Eddie Truman put it: “The dafty is reduced to punting the thoughts of a man who hates him.” Quite. Meanwhile, in the land of my infant nurture, or God’s Own Country, as most know Scotland, Jim Murphy’s proximity to reality continues to be at great remove. His performance during the Scottish party leaders’ debate provided several examples but let’s restrict ourselves to just one: “Labour is the party of the common man and the common woman.” Which must be why common men and common women are flocking to the SNP in numbers not seen since the Israelites Exodus from Egypt. He invited further disapproving frowns by sporting brown shoes with a gray suit, something for which, had I committed such a faux pas, my much-missed mother would’ve skelped my arse. One doesn’t wish to be shallow, however, and reduce a man’s essence to his clothing and surface appearance. We confine that sort of behaviour to commentary regarding women, of course. And yet the terror of losing power was revealed in its starkest form, thus far, by The Grubby Chancer. The pusillanimous Clegg, who effortlessly attains a standard for duplicity, opportunism and self-preservation best described as Olympian, is currently leading the pack in terms of gasp-inducing cheek. The Grubby Chancer insisted that he and his band of Tory-supporting brigands represented the best chance of keeping any future coalition anchored to the centre ground. Indeed, if anchoring to the centre ground could be said to willingly aiding the Tories in quadrupling food banks, killing the sick and disabled and demonising the most vulnerable amongst us, then he’s certainly done that. Oh, and don’t forget tripling tuition fees. Mind you, in today’s Britain that pretty much is the centre ground so, aye; fair point, Cleggy.